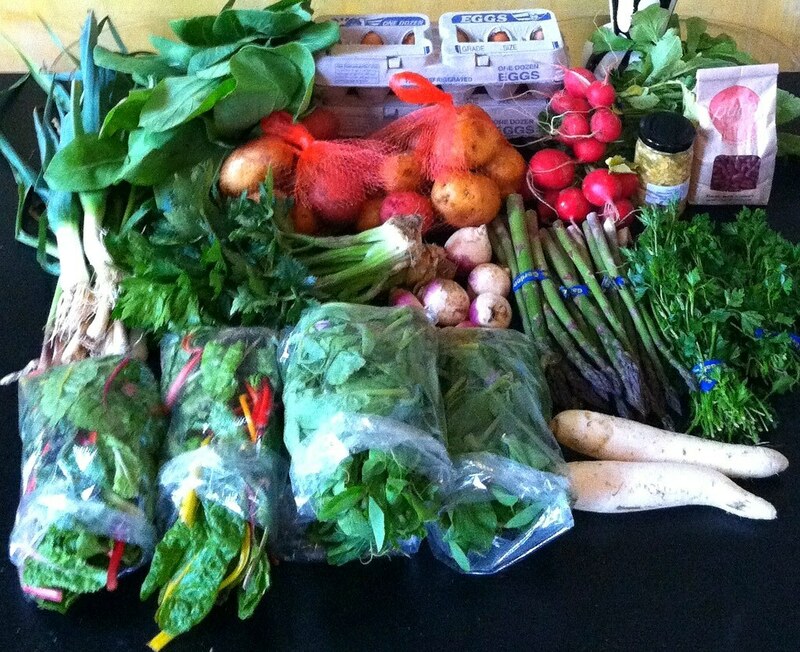 Winter CSA Pickup #6 – May – ugly food tastes better. Cinco de Mayo served as the last day of the Winter CSA, and the plant pick up for the Spring share, which starts officially in June. Look at that beautiful rainbow chard! And so many gorgeous bags of pea shoots! I think I am most excited about the asparagus, it is one of my all time favorite vegetables, might be time to make another SuperQuiche! Looks delicious!!! Can you share your quiche recipe? That is a huge share! I might have trouble using it all. The parsley would make a great pesto and the leeks dehydrate really well if you can’t use them (they’re usually pretty easy to use). I have a bunch of turnips in the fridge that I need to use up this week – maybe mashed into potatoes. Chucks – It really is a great way to use a ton of stuff, and i love complete, one pan meals!